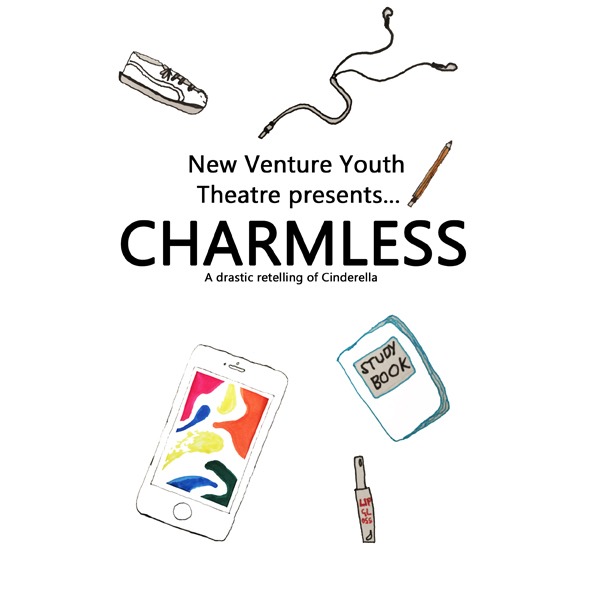 'Charmless' will be performed in the Theatre Upstairs which is accessed by four flights of steps and is, therefore, not suitable for Patrons with mobility challenges. The performance will be one hour's duration. There once was a princess and, after much strife, you lived ........ BORING! A new, darkly comedic teen movie take on a classic fairy tale. Come join the Ugly Club and other colourful characters for a drastic retelling of 'Cinderella'.